​Santos sensation Rodrygo has revealed that he doesn't believe he will be joining La Liga side ​Real Madrid in the January transfer window and will only move to the Spanish side in the summer. Madrid have agreed on a deal worth around 45 million euros with Santos to bring the 18-year-old to the Santiago Bernabeu next season, but with their current troubles in the forward line, it was rumoured that they could bring him in earlier. However, the Brazilian youngster doesn't think that will be the case but has suggested that it would be between Santos and Madrid when he would be making the move. 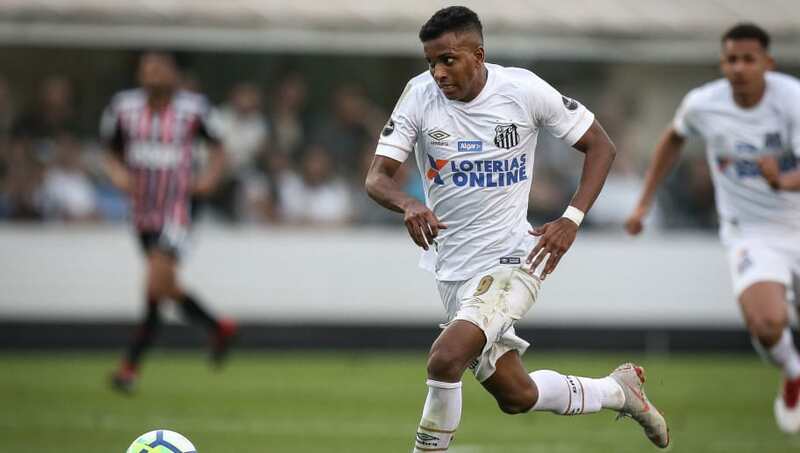 "I don't believe there is a chance I will leave for Madrid early," Rodrygo explained in an interview with Gazeta Esportiva, according to ​Goal. "It's agreed that I'm going in July. "That agreement is between Santos and Real Madrid." "I'm focused on Santos," he admitted. "When I get there, I will think about it. For the moment I just want to stand out with Santos." Rodrygo finished a creditable fourth place in the inaugural Kopa Trophy that was given out as part of the Ballon d'Or for the most promising youngster, with Paris Saint-Germain forward Kylian Mbappe predictably winning that award. Once Rodrygo makes his move to the Bernabeu, he will join fellow Brazilian youngster Vinicius Junior at the club, with both forwards expected to do great things for the club in the not too distant future. However, with Los Blancos facing problems in front of goal after the departure of Cristiano Ronaldo, it remains to be seen if they want to bring Rodrygo as early as next month.